A proof of claim is a document filed in the United States bankruptcy court. The document is to register a claim against the assets of the debtors. The claim will list the amount owed as of the date of the bankruptcy and if relevant, any priority status. All creditors that wish to get paid must file this paperwork before getting paid in the bankruptcy case. In most Chapter 7 cases there won’t be any debtor assets to distribute to creditors due to the number of exemptions they are allowed. If the creditor has more nonexempt property, it can be sold to pay the creditors. This is when the proof of claim is used. The amount of the claim is in dispute. The creditor is claiming a higher priority than they are entitled to. There is usually a deadline for filing claims so the trustee can determine how the estate funds will be distributed. Submitting a proof of claim is 70 days after the bankruptcy petition is filed with the court. Government creditors will receive additional time to file their claim. Extensions are usually not allowed unless the creditor can show extenuating circumstances. If the debtor or trustee dispute the claim, the bankruptcy court may set a hearing to resolve the dispute. The debtor’s money is usually paid out to administrative creditors such as any fees involved in the bankruptcy process first, then priority unsecured creditors then nonpriority unsecured creditors. 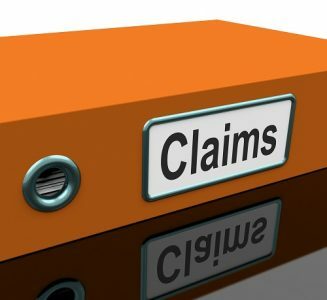 Proof of claim forms can be downloaded from the United States Courts website. Hiring a Rio Grande bankruptcy attorney can help you navigate the bankruptcy process including claims being made against your estate.